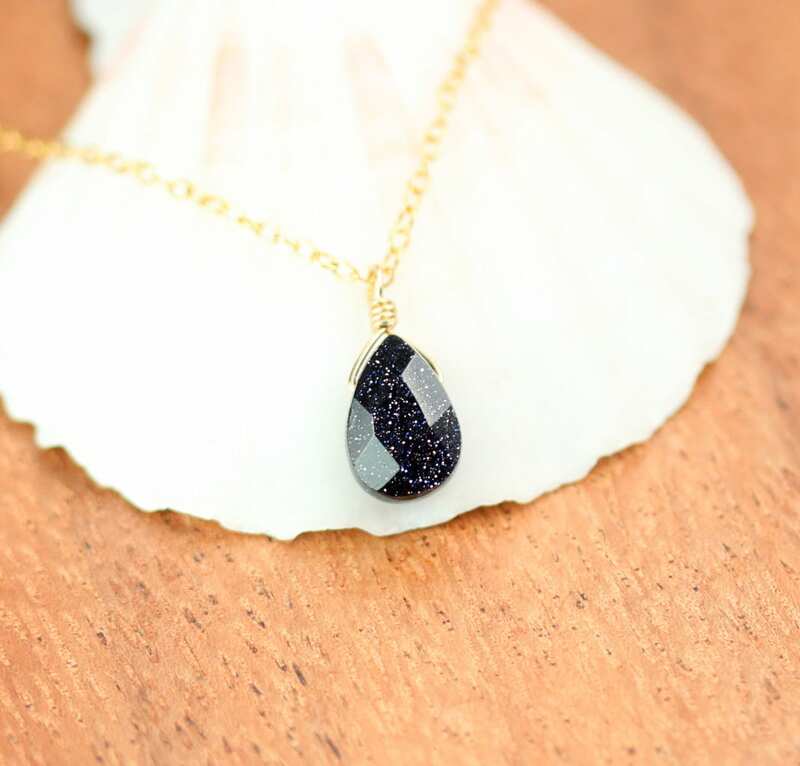 A dainty, teardrop faceted goldstone wire wrapped onto a 16 inch 14k gold vermeil chain. Please feel free to select a different length chain if you prefer! 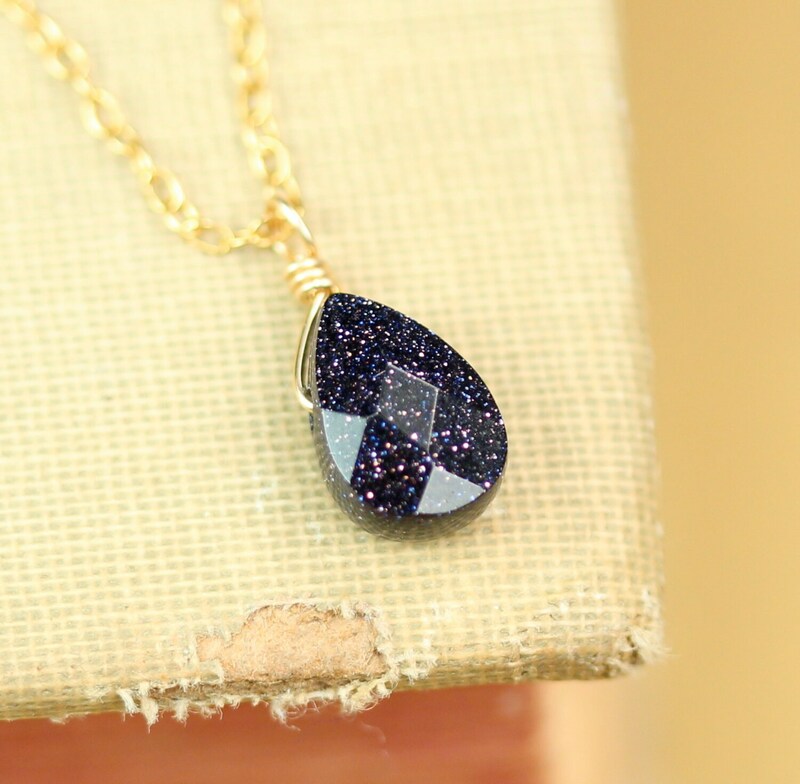 This beauty is also available on a sterling silver chain and with a blue goldstone! 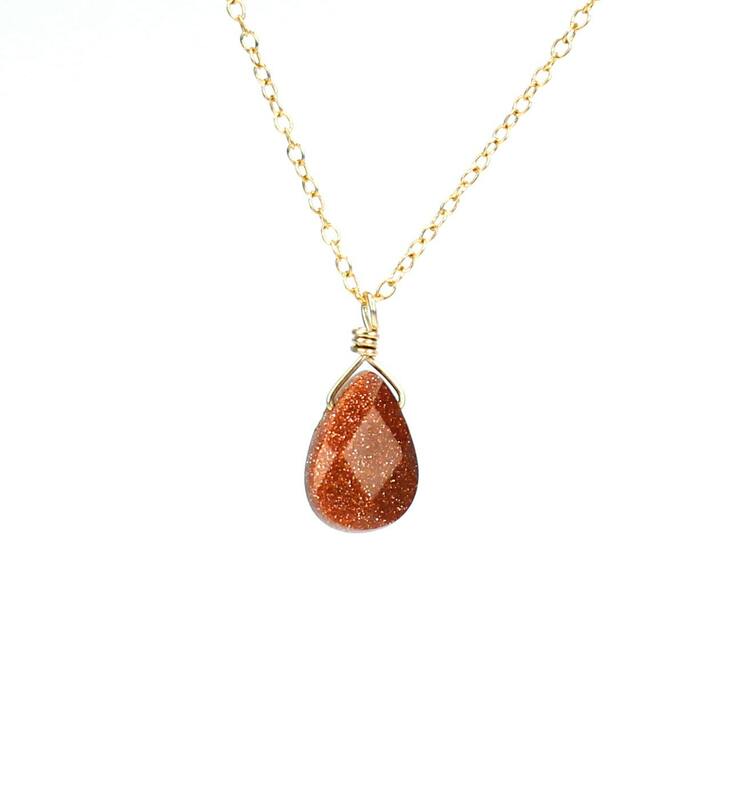 Need a few reasons to love goldstone other than for its beauty? 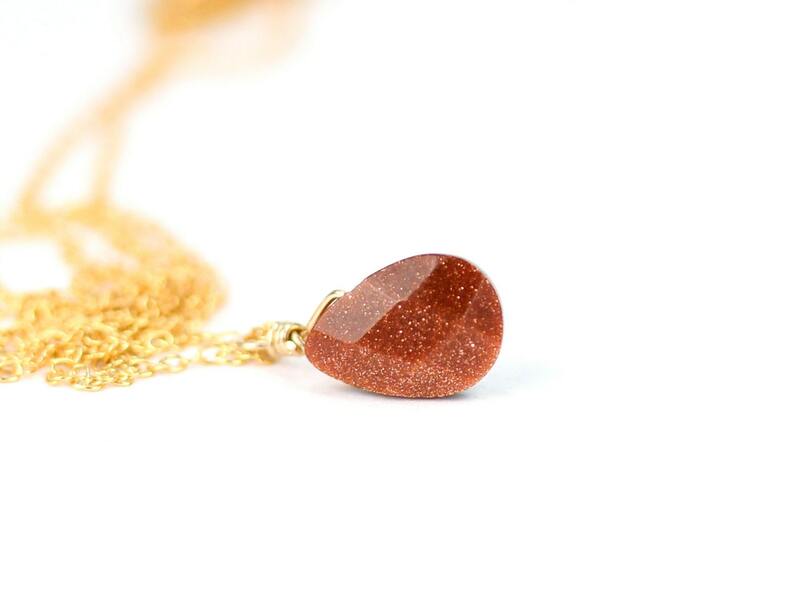 Goldstone is actually a man-made stone. Its sparkle is due to flecks of copper.